Being a lifeguard is a great responsibility and one that requires great speed. Unfortunately, tides tend to create hurdles for lifeguards trying to reach swimmers in distress. However, a drone can avoid these hurdles and reach swimmers in a matter of seconds. 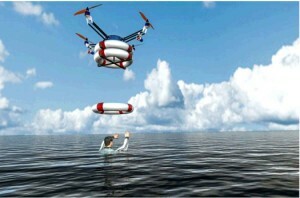 Iran is now the first country to make use of this fact and is slowly deploying aerial rescue drones on its beaches. 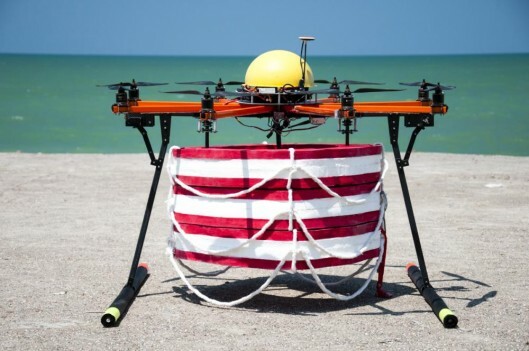 Initially, these quadcopters were equipped with the task to fly over to a swimmer in trouble and drop life-preserving rings on them. After a number of upgrades, Amin Rigi, has come up with a drone that can convert into a hovercraft capable of bringing a single swimmer back on shore. Amin Rigi, a robotics engineer, now plans to bring his product to the global market. He states that his vision is to see a future full of aerial rescue vehicles that can assist people in all sorts of troubles. 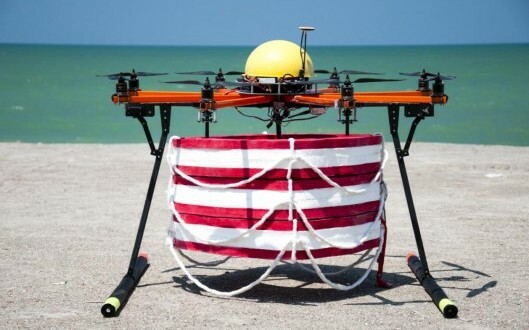 His “Roboguard”, as it is being called, is capable of landing in and taking off from sea and can carry up to 15Kg of equipment for a period of 15 minutes at speeds of up to 50 Km/h. Rigi states that newer versions of the drone could be equipped with a thermal camera and GPS. This would help the drone capable of night time missions and autonomous flying. Now, Rigi is working on a solar landing platform, which would allow the drone to recharge its battery. Initial trials of the Roboguard beat a human lifeguard by 90-seconds to reach a swimmer 75m out at sea. Rigi expects about 200 Roboguards to start operating this summer. The drone has been priced at €8,000 and has already been bought by distributors in Brazil, Mexico and Italy. Potential talks are underway with clients in the US, Latvia and Australia.